Half a mile south-west of the summit of Great Shunner Fell there are three tarns, one of which is the source of Fossdale Gill. I call this Fossdale Tarn. The smaller of the three tarns is a fairly insignificant pool. 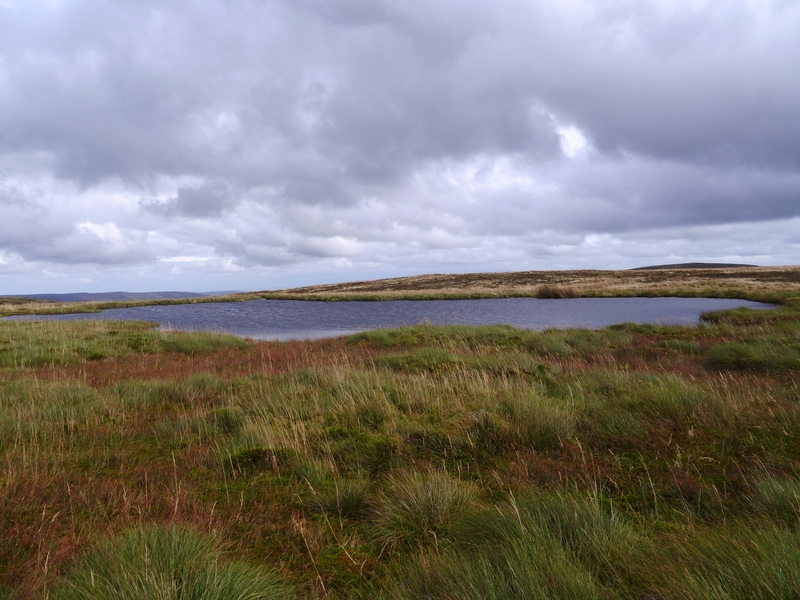 The OS Explorer map shows a larger tarn just to the west of Fossdale Tarn, however on my visit in 2011 I didn’t see it. The Google Earth view of the map would suggest that this larger tarn has now dried up. 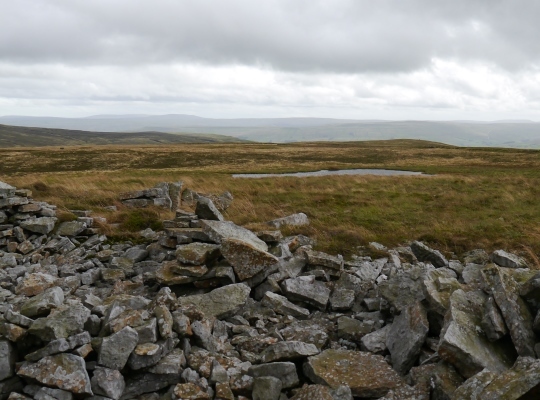 Fossdale Tarn is fairly easy to reach from the top of Great Shunner Fell, simply make a beeline for the rash of rocks and half built cairns on Stony Edge. Fossdale Tarn is just beyond. An adventurous alternative is to trace Fossdale Gill all the way up to the tarn. This requires care in places as the gill is very steep-sided in places.